Denmark qualified for the semi-finals of the World Cup by beating Sweden 30-26, in the framework of the last round of the second round of the tournament, to take Norway to that role. The first half ended with a draw between 13-13, while the second half saw Denmark win and a real desire to win the game. They managed to score 17-13, ending the win with a 30-26 win. After the victory of Denmark, the second group topped 10 points, becoming the only team that has not suffered a defeat or a draw so far, while Sweden stopped at 6 points in third place, and Norway second with 8 points, after beating Hungary by 35-26, Today. 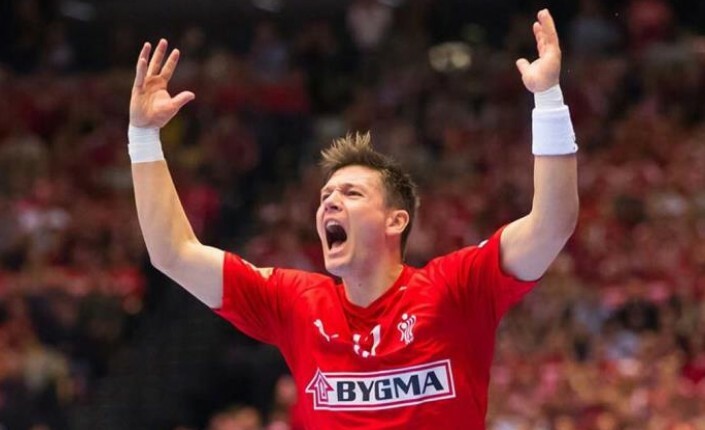 Denmark and Norway qualified for the semi-finals of the World Handball Championships, followed by Germany and France, where the Danish team will meet their French counterpart in the first match, while German machines face the Norwegian team in the second game of the semi-finals. On the other hand, the Swedish team face a confrontation with his counterpart Alkroyati to determine the fifth place in the championship.